Looking for Mobile Computer Repairs? Looking for Mobile Computer Repairs? – We can help! We cover all of West Sussex and South Surrey. By attending to your computer repairs at your own address, we eliminate the need to unplug and move your PC, reducing time and hassle. As we operate a mobile computer repair service and have no shop based overheads, our prices are over 50% cheaper than some of our competitors. We speak your language and won’t bamboozle you with jargon! We come to you and fix on site wherever possible. If we can’t, we’ll take it away, fix it, and bring it back and set it up for you. Call 07771 588577 today to book your appointment or Email. 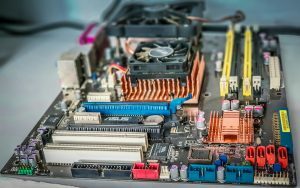 Some of our Services – Mobile Computer Repairs. Are you having Wifi issues? If you want a Home Wifi Specialist to visit you, call us today. Perhaps you have a wifi dead spot in your home? By performing a wireless site survey, we can find out where the dead spots are and reinstate the wifi all throughout your home. Sometimes it’s just a matter of repositioning the router. Sometimes a booster may be needed. If your old PC won’t cooperate and you need the data from it, we can help! By attaching it to another machine and accessing your files and saving them, we can save your data. We can attempt all types of data recovery, from broken hard drives to deleted files. Email or call to discuss your problem. Having problems with pop-ups when browsing the Internet? Or maybe you find your PC slowing up and behaving oddly, you may have malware or a virus. Pop-Ups can be extremely annoying! We can put it right for you. If you are looking for Virus and Malware removal call or email and we can sort it out. All the jargon can be very annoying and confusing when buying a new Computer! However, we remove the hassle and confusion. Our New-Computer buying service is an extremely popular option. Firstly, we visit you and discuss your needs and budget. Then, we would find a PC or Laptop at a great price and order it for you. Finally, we bring it to your address and set it up! You are only charged the original purchase price and the time it takes to set it up. Also, we can transfer all your old data – documents, photos and files – from your old PC to the new one. Lost your password? We can help recover it! We attend to all computer repairs as quickly as possible, usually within 48 hours. However should your computer issue be an emergency, please telephone and let Rob know; he will try and fit you in the same day! At RHCC we provide professional computer repairs and support service. We cover all aspects of technology from wireless networking including range boosting to virus removal and everything in between. The company has been established for 16 years with over 20 years experience in the industry. If we can’t answer the phone please leave your message on the answering machine and we’ll get back to you as soon as we can. We don’t answer the phone when we are with a customer – when we are fixing your computer, you have our undivided attention! Call to discuss your problem and arrange an appointment for us to visit you in the comfort of your own home, or email us with details. I would like to thank RHCC for all their help with my computer. When I had a problem they were quick, courteous and extremely helpful, managing to restore all my data without loss and provide advice on the purchase of a new machine. Being a single female, I am always a little wary of inviting strangers into my home, but I had nothing to worry about here, and the gentleman that visited always spoke in plain and simple English to me, so as not to confuse with computer jargon that I really do not understand. thank you so much for coming so promptly and for sorting out my ageing pc! Thank you too for your very fair invoice. It made the frustration of being locked out of my machine a little less frustrating. I just wanted to drop you a line to thank you for the wonderful job you did on my PC. When you took the hard drive away with you to fix I was convinced that I was going to lose all my data and that this was going to be a rather time-consuming and very costly job, which you proved to be false. 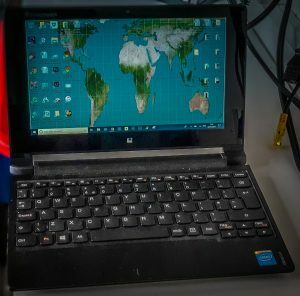 The PC runs very well now and I appreciate all the hard work and suggestions you have given me, and after having the spyware software installed this has made a big difference to us, and I believe we are more conscious when we are surfing the net. I will be recommending you to anyone that needs advice or work done to their own computers. Thank you again for the hard work and the efficient manner it was dealt with. Thank you so much for your assistance with my PC. I was very impressed by the speed of your response and professionalism. I have had no further problems with my PC and was so relieved that you managed to recover so much of my data. To top it all off I was pleasantly surprised by how reasonable the bill was. Personally, I will not be using any other service from now on and I am happy to recommend you to my friends and colleagues. Thank you yet again for your help, you’re worth your weight in gold. We cover many towns including Billingshurst, Cranleigh, Burgess Hill, Dorking, Hassocks Worthing, Pulborough, Steyning, Haywards Heath, Littlehampton & Rustington, and Horsham to name but a few. © 2004 - 2019 Mobile Computer Repairs - We Come To You 07771 588577 .